Advocates for health care reform demanded Thursday that Gov. Phil Scott denounce the Republican health care plan being debated in Congress. 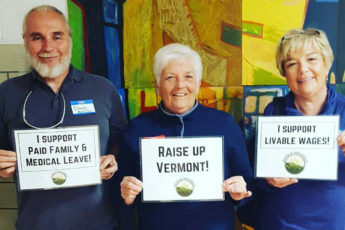 They said the proposal would result in thousands of Vermonters losing insurance coverage and cost the state hundreds of millions of dollars in federal funding. Lawmakers in Washington are considering the GOP-led plan as part of action to “repeal and replace” the Affordable Care Act signed into law seven years ago by then-President Barack Obama. The Republican plan would dismantle many parts of the ACA. As of late Thursday, the plan was in danger of not passing the House as leaders scrambled for votes and called for a delay.